288p. S. & S./Salaam Reads. Feb. 2019. Tr $18.99. ISBN 9781534426085. 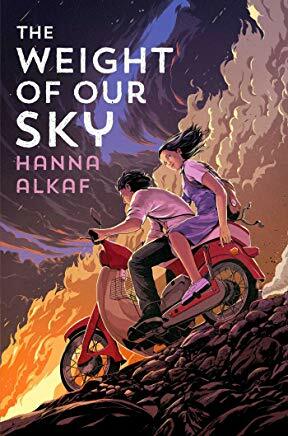 Gr 8 Up—This YA debut depicts the 1969 race riots in Kuala Lumpur through the eyes of a teen with OCD. Sixteen-year-old Melati prefers Paul McCartney to Paul Newman. Her best friend Safiyah feels the opposite. On May 13, the two attend a film to see Safiyah's Paul on the big screen and find themselves in the wrong place at the wrong time. Brutal fights between the Malays and Chinese break out in the streets outside, and eventually the danger trickles into the theater. Safiyah is killed. A Chinese woman named Auntie Bee helps Melati escape. Taking refuge with the Auntie Bee's family, Melati connects with one of the sons, Vincent. As tensions in Kuala Lumpur rise and a curfew is instated, Melati faces her worst fear: not knowing whether her mother is alive or, like her late father, caught in the middle of the violence. At the sentence level, Alkaf's use of first-person narration expertly (and, in some cases, painfully) places readers inside Melati's head as she experiences internal and external horrors. Melati's OCD is presented as a persistent djinn that stokes her anxieties—a choice that ties into the protagonist's Muslim faith and evinces the lack of mental health treatments in the time period. An introductory author's note provides trigger warnings for readers as well as historical context. Echoing contemporary race relations, the subject feels especially relevant. VERDICT Alkaf's immersive, powerful writing make this a must-purchase for all YA collections.